I’m excited to have with me today award-winning poet Douglas Nicholas. In September, Simon and Schuster will be publishing his first novel, Something Red, a historical fiction/fantasy/horror mash-up set in thirteenth century England. Congratulations on your novel, Douglas. Thanks for stopping by to chew the fat. DN: Thanks, Jonathan, it’s my pleasure to be here. Q1) Let’s start with the basics first. 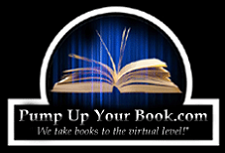 Can you tell the good people about yourself and your new book? The Cambridge don M. R. James wrote ghost/horror stories to be read at Christmastime to his friends. They usually featured a mild-mannered antiquarian like himself, and would begin slowly with bits of scholarly detail, very dry. This would go on for about two pages—the stories are quite short—and then, ten or fifteen pages later, you realize that you are never going to sleep again for the rest of your life. So I thought I would write a story to read to my wife, Theresa, over the holidays. I don’t know where the exact idea for the story came from, but I knew the general arc almost at once, and that I wanted to make a strong woman the hero. Soon I found that I had to explain this or that; I had to get my people from here to there, etc. I wanted to make the story historically accurate and vivid, which involved a lot of research. I finally realized that this was going to have to be a novel. Then I got very busy with other things and put the story away. Some years later, when things were less hectic, I returned to Something Red and got it done. “During the thirteenth century, in northwest England, in one of the coldest winters in living memory, a formidable middle-aged Irishwoman and her little troupe are trying to drive their three wagons across the Pennines before the heavy snows set in. Molly, her powerful and enigmatic lover Jack, her fey granddaughter Nemain, and the young apprentice Hob soon find that something terrible prowls the woods through which they must make their way. As they travel from refuge to refuge, it becomes apparent that the evil must be faced, and it is then that Hob learns how much more there is to his adopted family than he had ever imagined. Q2) Which is easier for you, poetry or prose? Or are they just “the same, but different”? DN: Well, a novel is a lot more work, because its scope is larger. Some readers have commented on the consistency of my “voice” in poetry, and I do think that some of that voice has carried over into the novel. Q3) I love it when authors combine history and fantasy or horror. It floats my boat, so to speak. But what is it about the combination that interests you? And why did you decide to go that route rather than, say, creating your own world in a full-fledged fantasy setting? DN: I’ve been an avid reader all my life, and I studied medieval literature in college and in some grad school courses. So, between reading and formal study, I realized that I had a feel for the period, and I wanted the architectural isolation of a snowed-in castle: nowhere to go, just you and the monster. The movie Alien functions this way, as does John W. Campbell’s 1938 novella, Who Goes There? (which was the basis for the 1951 movie The Thing from Outer Space). Q4) What kind of research went into writing Something Red? Given all the historical detail, I imagine it was quite a lot. DN: I thought I knew a lot about medieval life, but I’d come to something and think, “Wait, I need to know a lot more about this, just to write one paragraph.” So I knew a fair amount, and probably learned an equal amount, about the thirteenth century while writing SR. I chose the north of England because it has its own fiercely independent culture, because I needed those mountains for my characters to struggle with, and because Northern England has not often been used as a setting. Susanna Clarke’s excellent Jonathan Strange & Mr Norrell has a lot to do with the North, but I’d already chosen the venue by the time I read her book. I wanted an intimate focus on a limited cast of characters, because if ten thousand demon warriors are blasted into oblivion by flame from a wizard’s wand—well, who cares? Can you name three of those poor fellas, now burnt toast? But someone you have come to know and care about, someone who is real to you, when they get into trouble—well, you have to find out, you have to turn that page. Q5) What is it about medieval history that so fascinates you, makes you want to write about it? DN: It’s a period in our past that has so many colorful elements—knights, troubadours, tourneys, castles!—that many fantasy writers, in setting their stories in wholly imaginary worlds, create what is essentially a medieval society, although often they concentrate only on the more dramatic knights and nobles, and ignore the farmers, carters, alewives, etc. Q6) You go to great lengths to describe the minutiae of your characters’ lives and certain medieval customs, which really helped me imagine the goings on in my mind’s eye and gave me a lot of historical context for what I was reading. Was this your only goal in including such information, or were there additional purposes? DN: Some things really had to be explained—most people have their ideas about the Middle Ages from Errol Flynn movies, or from throwaway insults—“might as well be living in the Middle Ages,” etc.—but in some ways they were more advanced than, say, the nineteenth century: they bathed more frequently than people in the nineteenth century, they were far less puritanical, although quite religious, and so forth. Q7) Your narrative features a great number of dynamic characters—that is, characters who are forced to change over the course of the work. Therefore, is it safe to say that you put a great deal of importance on characters that change and develop, just as real people do? DN: Although this is at its heart a fantastic tale, I tried hard to approach every character as though they were completely real—if extraordinary, as Molly is extraordinary—and to move them through a solid world that also seems real, if unfamiliar to us. This is what, I think, interests a reader: a feeling that people react in a way that makes sense within a universe that is real to the character. Q8) Where did the inspiration for your characters come from? DN: I did want to see if I could take a strong and voluptuous gray-maned woman in her early fifties and make her believable as a powerful, admirable action hero: sexual, formidable, and the most intelligent character in the book. The four main characters came to me with the idea for the story—remember, it was supposed to be a short story—very quickly. Where inspiration comes from, well, that’s the real mystery. Q9) Your main character, Hob, is just a boy during the events of the story—thirteen years old, I believe? And while he surpasses his limitations in many respects, even acting the hero in a few instances, you refrained from creating an unrealistically heroic child, as sometimes happens in similar books. Why did you decide to approach it this way, and was it an important part of the story to you? DN: Thirteen, yes. Again, I tried to make everyone as realistic as possible, although the framework is basically that of a fairy tale, a horror fairy tale. I would dispute that Hob is the main character—to me that is Molly, although I tried to have an ensemble approach as well, with everyone having their own reality, their own story, even those who are not part of Molly’s band of four. Hob is our point-of-view character; we more or less walk beside him, and what he sees we see, what he hears we hear, although we may understand it more than he does. Another reason to have a child as the point-of-view character is that much of what’s occurring can unfold gradually with his increasing understanding, so that we find things out slowly through the book, rather than all at once. Because he’s observing the main character, Molly, he sees the exterior workings of her craft as a priestess of the Old Religion, and the results, but doesn’t know how a spell works, only that it does. Nor do we know how it works, but I think it feels all the more real to see someone working magic, see them doing concrete things to get supernatural results, but not to have it explained—or explained away. You know that surgeons perform open-heart surgery, but if you, the lay person, were in the OR, you’d just see them accepting implements from their assistants, doing mysterious things, then stepping back and stripping off those surgical gloves—you wouldn’t actually know exactly what they’re doing, although you know the general purpose, and the result. Q10) The dominance of the Catholic Church goes hand in hand with many people’s concept of Medieval Europe, and yet you took pains to create protagonists (at least in the case of Molly and her granddaughter) that still subscribe to pagan religions. Why did you feel compelled to add this touch to the characters? DN: Well, there was not immediate acceptance of Christianity after Constantine converted, nor after St. Patrick went to Ireland, although I’m positing a persistence of second-century Irish tribal custom into the thirteenth century, which in some aspects might even have been true, but I’m stretching it a wee bit for the story’s sake. People who live in the country are always, in general, more slow to adopt new things, or steadfast in preserving old things, than city dwellers, because in the country you live amid like-minded people, and aren’t exposed to as many different influences, and different people. So when Rome formally adopted Christianity at the beginning of the fourth century, the country folk took a long while to give up the old ways. The countryside in Latin is “pagus”; a country boy is a “paganus.” So the pagani, the pagans, the country folk, were the last to give up pre-Christian religions, and I’m positing that in the west of Ireland there were such holdouts. It did happen throughout Europe; for a good read on the persistence of paganism in Scandinavia try “Two Ravens,” a novel by the excellent Cecelia Holland. And that pretty much does it. Can you think of anything else you want to tell the folks out there? DN: Fill your glass and pull your chair a little closer to the fire, and I’ll tell you a story, and you’ll enjoy it. Get Something Red, dear reader, and I’ll take good care of you for the hours that you’re with me. Thanks again, Douglas. It’s been a real treat to discuss your work, and I’m sure a lot of people out there are chomping at the bit to read it. 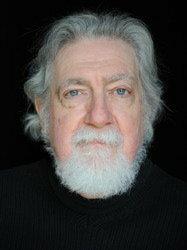 If anyone would like to learn more about Douglas Nicholas or his work, you visit him at Facebook, Goodreads, or Amazon. 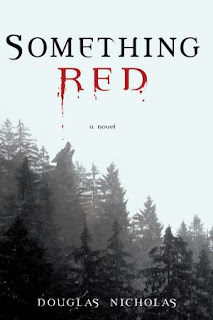 You can also check out Something Red at SimonandSchuster.com and Amazon. Nice interview. It's always interesting to learn a bit about the author behind the book. 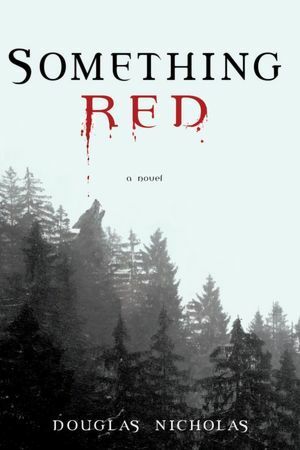 Something Red sounds like a great read! Very nice interview, the book sounds interesting, almost as interesting as Mr. Nicholas. I love the story of the holiday reading. This is a fantastic interview! You really got him to go into great detail on his inspirations and process. 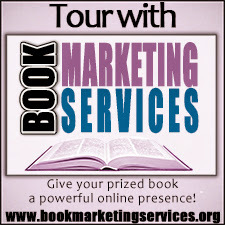 If you get the chance, stop by and check out my latest giveaway. I've just downloaded iStripper, and now I can watch the best virtual strippers on my desktop.